Auyuittuq National Park ᐊᐅᔪᐃᑦᑐᖅ, "the land that never melts," is located on eastern Baffin Island between the communities of Pangnirtung and Qikiqtarjuaq. Auyuittuq National Park is the most accessible national park in Nunavut and the most popular for both short visits and extended ones. The landscape is 85 percent rock and ice, dominated by steep and rugged mountains, with vast glaciers and powerful rivers. Rien de mieux que des montages et trop de belle vu. 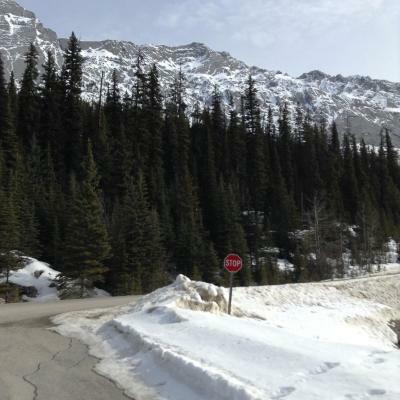 I've only been skidooing here in the winters, which is fantastic. I would love to be able to see the park in all its summer-time wildflower glory! 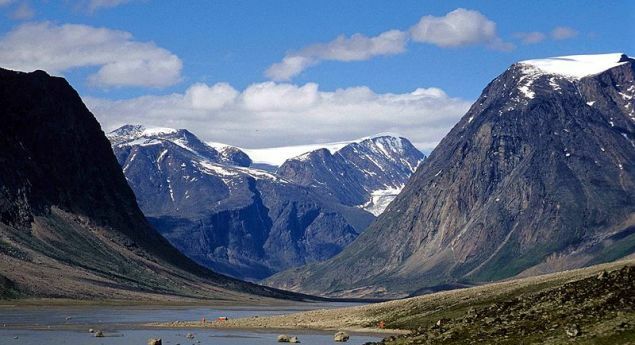 True or False: Auyuittuq National Park is located on Baffin Island.